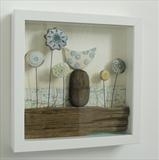 Box frame assemblages are available in white frames or unframed. 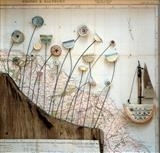 For commissions clients can select a particular map location that they would like to be incorporated into the art work. 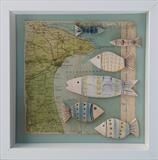 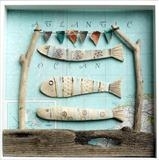 Shirley uses hand built earthenware components, vintage maps and letters, wave worn finds and driftwood.